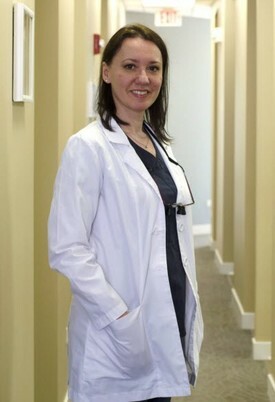 Dr. Iva Arnaudova graduated from New York University College of Dentistry in 2006. She received her first dental degree in 2001, after she completed the 6 years dental program in Sofia, Bulgaria, in which city she was also born and raised. Dr. Iva has been providing dental services for the patients in Oak Park, IL for more than 8 years, when she decided to follow her dream and to open her own dental practice. She strives to establish good dentist-patient relationship through effective communication. Her priority is making the patients feel comfortable and well informed about their dental treatment. She practices by the philosophy of getting to know the patient’s concerns or desires and thus achieving the best treatment outcome. Dr. Iva has completed many continued education courses in almost all aspects of dentistry. She believes that keeping up with new research and technology is essential when caring for her patients. Dr. Iva is a member of the American Dental Association, Illinois State Dental Society and Chicago Dental Society. She loves music and photography. In her free time she enjoys traveling and spending time with her family.